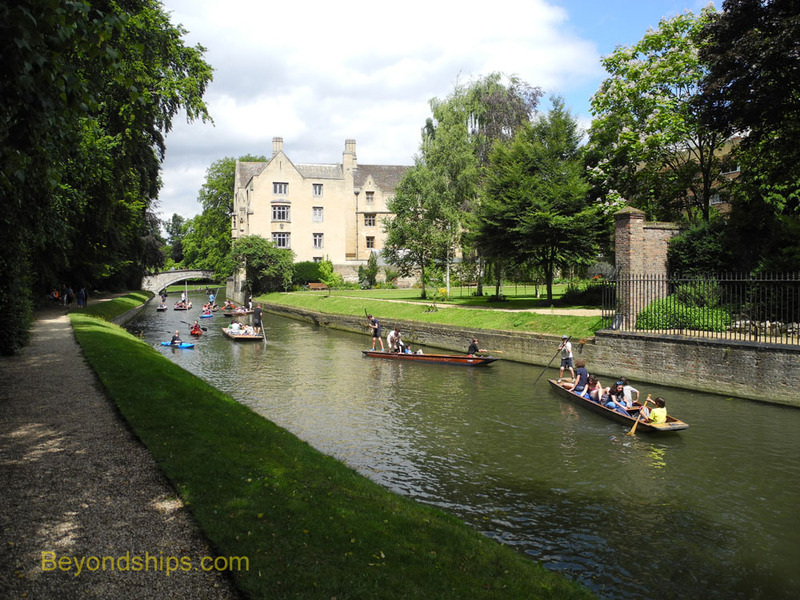 One of the nicest ways to experience Cambridge is by taking a punt along the river. A punt is a long narrow boat with a squared-off bow and stern. An average punt holds six people. 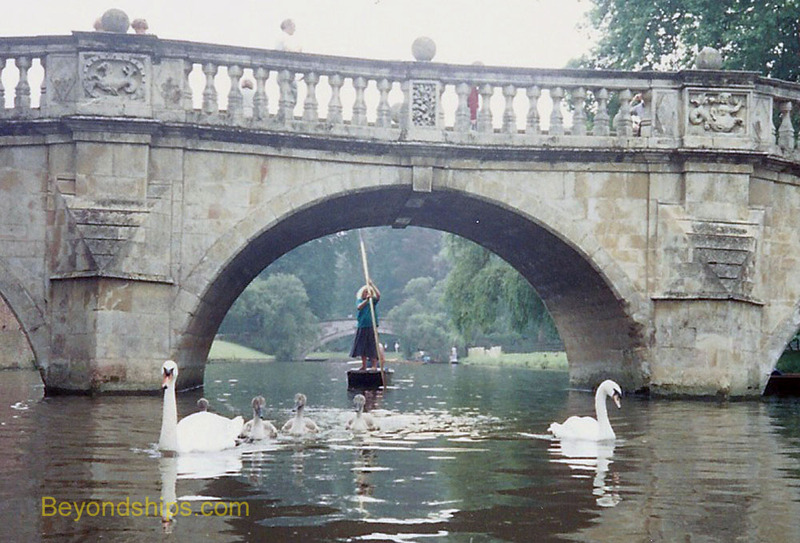 Men, women and even some larger children have been seen powering punts. 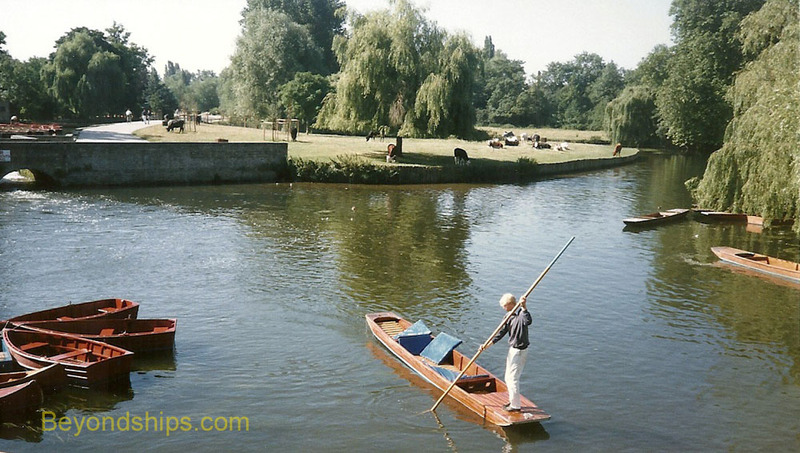 The punt is propelled by pushing a long pole against the bottom of the river. The pole also acts as the tiller for the craft. Turn the pole so that the part that is in the water goes left and the punt will go left and turn the underwater part right to go right. Keep the pole straight behind you to go straight. Most often, the person propelling the punt stands on the back deck. However, the punter can also stand in the aft end of the passenger compartment that takes up the middle of the punt where it feels less precarious. Punts can be hired at Scudamore's. They have locations at Mill Lane by the Silver Street Bridge and at Quayside near the Magdalene Bridge. 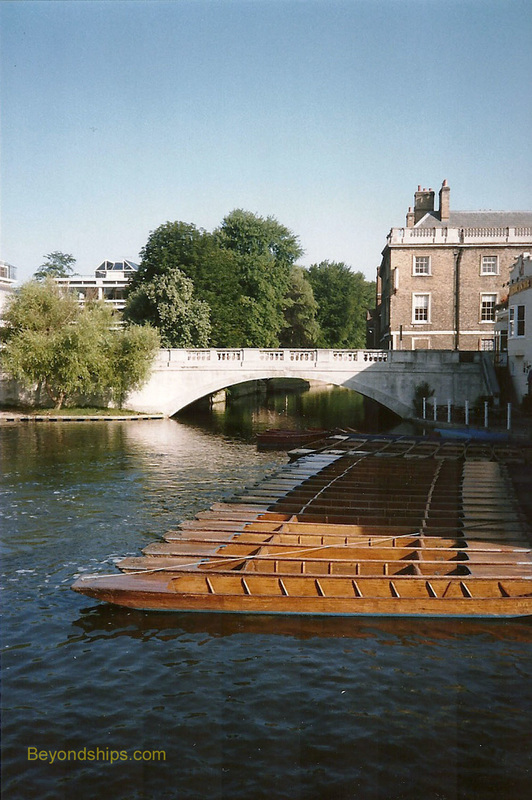 Trinity House college also sometimes hires out its punts. 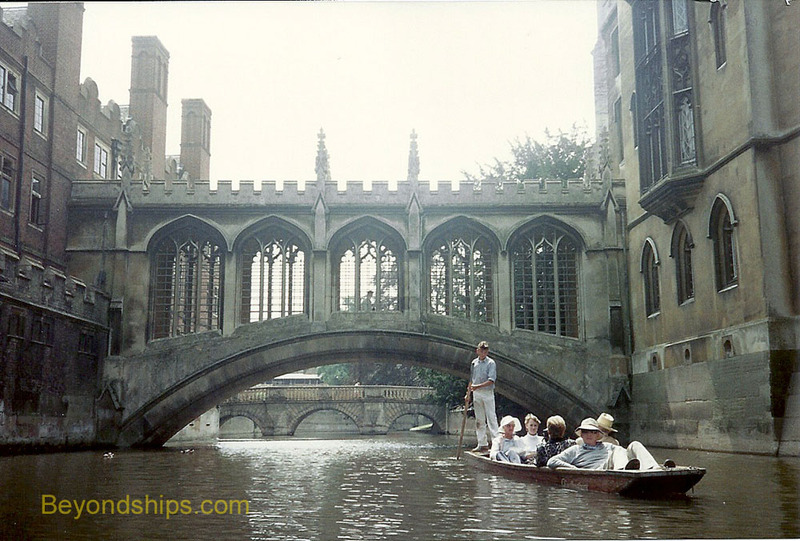 You can hire a punt and drive it yourself or take chauffeured punt. The former is less expensive and not that difficult. However, watching people who have not gotten the hang of how to steer is a great source of amusement for those on the river banks. The latter option offers more peace of mind and the chauffeur will often provide commentary as you glide along. You can also consume champagne and treats as the scene goes by. Although the two names are sometimes used interchangeably, the river is called the Granta above the Silver Street Bridge and the Cam below A trip up the river to Grantchester is quite rustic and pretty but a trip down the river takes you past the spectacular College Backs. Going down the Cam from the Mill Pond, you get glimpses of eight of the colleges - - Darwin, Queens, King's, Clare, Trinity House, Trinity, St. John's, and Magdalene. 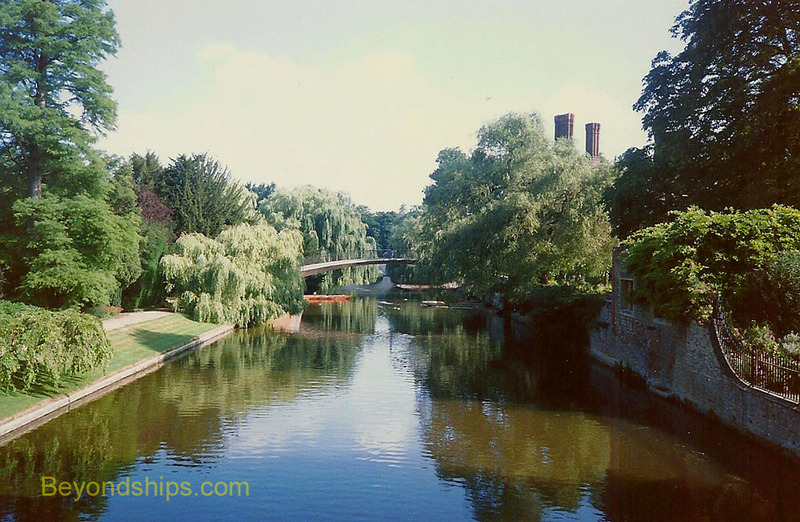 Moreover, you get to see some of the most notable buildings in Cambridge in a beautifully landscaped setting. 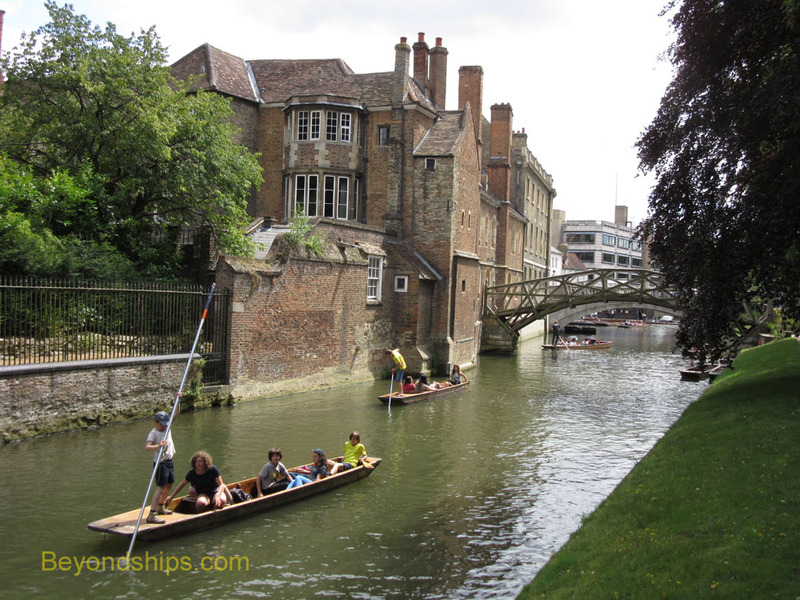 These include the Queens' College President's Lodge, King's College Chapel, and the Wren Library. There is also the Care Fellow's Garden - - perhaps the most beautiful in Cambridge - - and the idyllic pasture on the left hand side of the river by King's. Then there are the bridges over the river. Shortly after going under the Silver Street Bridge, you come to Queens' Mathematical Bridge. The Clare Bridge is the oldest on the river. It has a series of large stone balls along the railings. Legend has it that an undergraduate managed to free one of the balls and push it into the river just as a punt load of dons were going under the bridge. 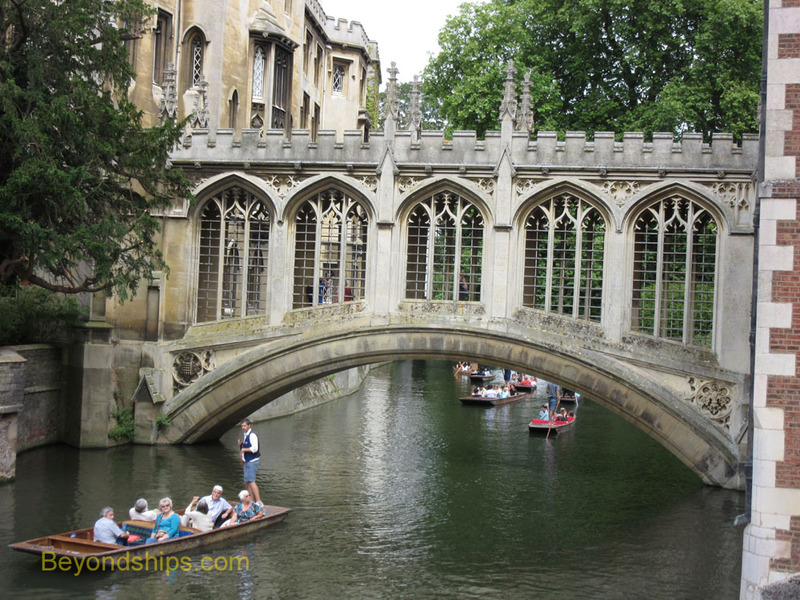 The most impressive of the bridges is the Bridge of Sighs at St. John's. Built in 1831, it supposedly received this name because Queen Victoria said it reminded her of the Bridge of Sighs in Venice. The two bridges actually look nothing alike but you cannot quarrel with a monarch. Nonetheless, the delicate St. John's bridge is undoubtedly romantic. 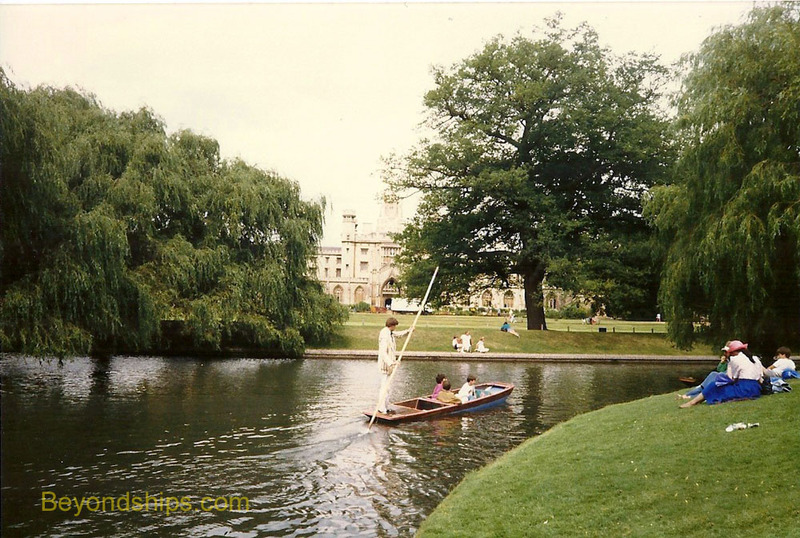 You can continue down the Cam past Magdalene (pronounced “Maudlin”) College to Quayside where there are riverside restaurants (and in days of yore, riverside pubs). Going ashore, you can walk up Magdalene Street to the Castle Mound. The Romans allegedly had an encampment here and later William the Conqueror built Cambridge Castle here. Little remains of the castle but the mound is the highest point in the city and thus provides scenic views over its historic buildings. It is especially nice at sunset.